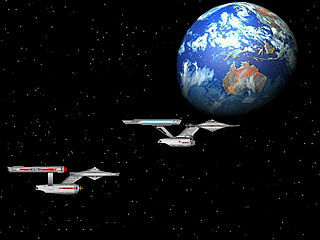 Enjoy the Starships from Star Trek the Original Series, Star Trek the Next Generation, Voyager and Deep Space Nine. All are fully animated with music from the shows. A single pass through all 25 scenes takes approximately 20 minutes. This is a Graphics Blandishment creation.